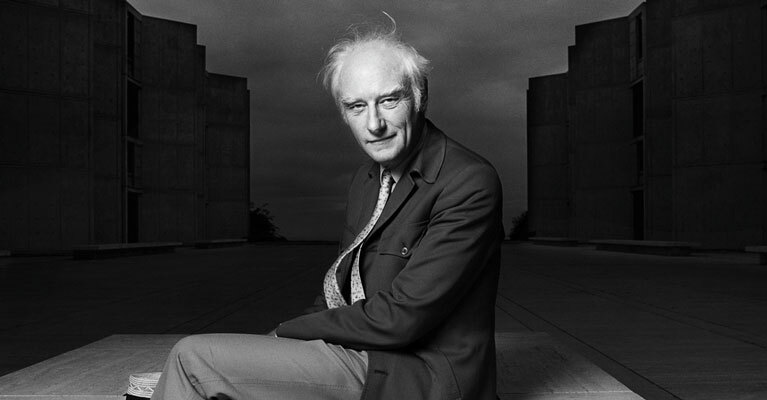 “It’s true that by blundering about we stumbled on gold, but the fact remains that we were looking for gold.” So said the eminently quotable Francis Crick about his 1953 discovery with James Watson of the structure of the DNA molecule. 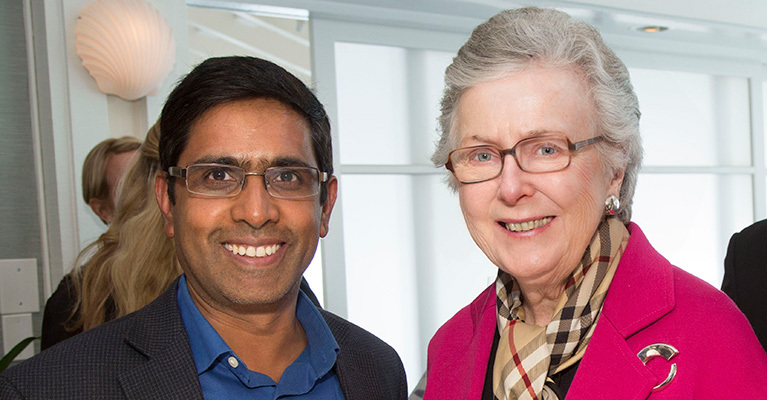 Satchidananda Panda, a scientist in Salk’s Regulatory Biology Lab, was promoted this spring to the rank of full professor. 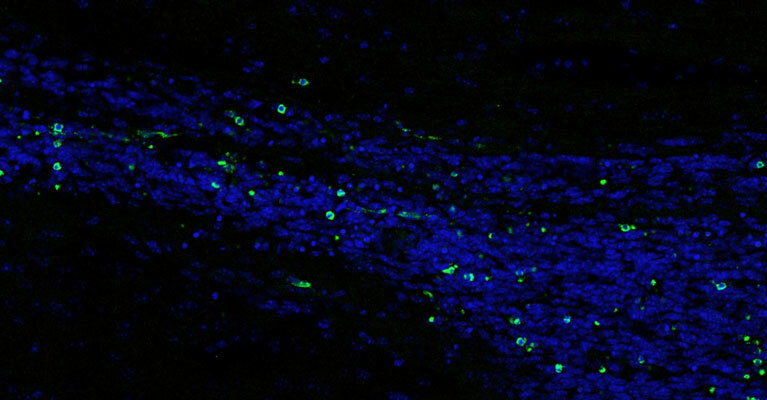 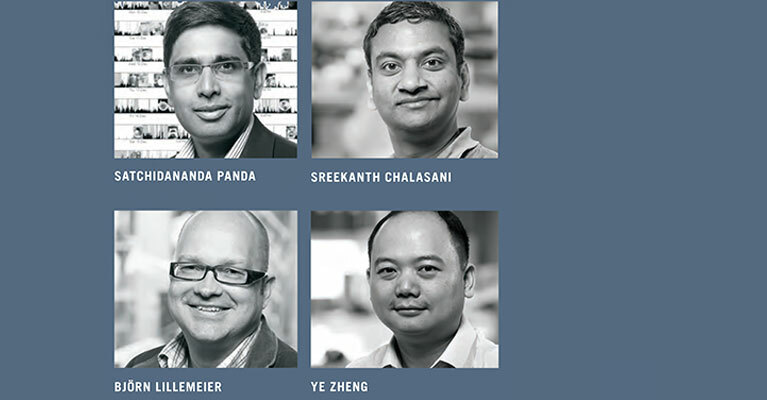 Also honored with promotion, from assistant professor to associate professor, were Sreekanth Chalasani in the Molecular Neurobiology Lab, and Björn Lillemeier and Ye Zheng, both in the Nomis Foundation Laboratories for Immunobiology and Microbial Pathogenesis. 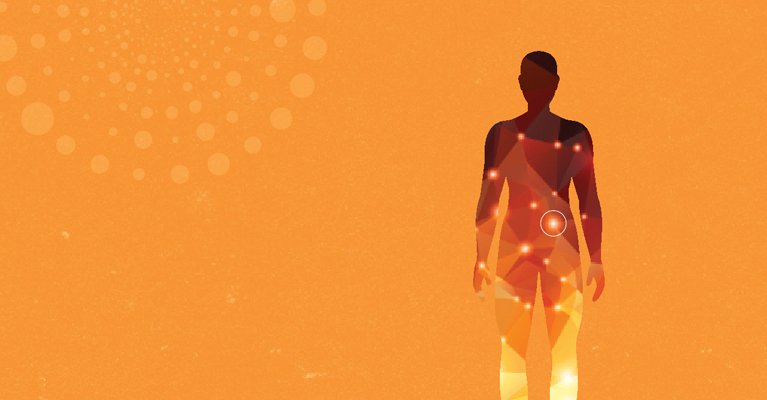 Rusty Gage began his three-year term on the governing council of the National Academy of Sciences (NAS), an institution that advises the nation on science and technology issues. 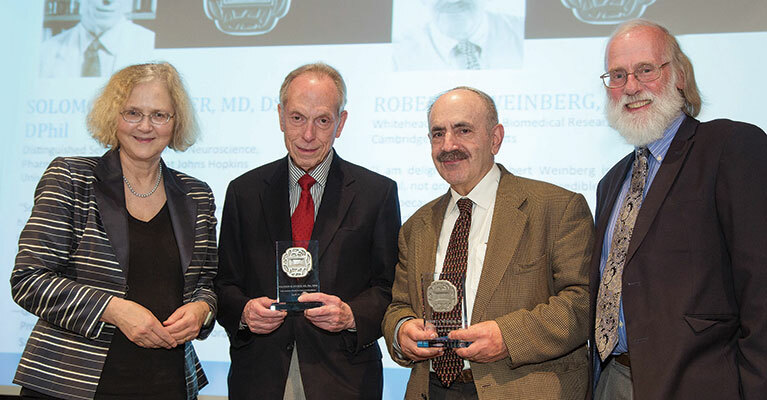 For the first time, the Salk Institute bestowed its Medal for Research Excellence on not one, but two, distinguished scientists. 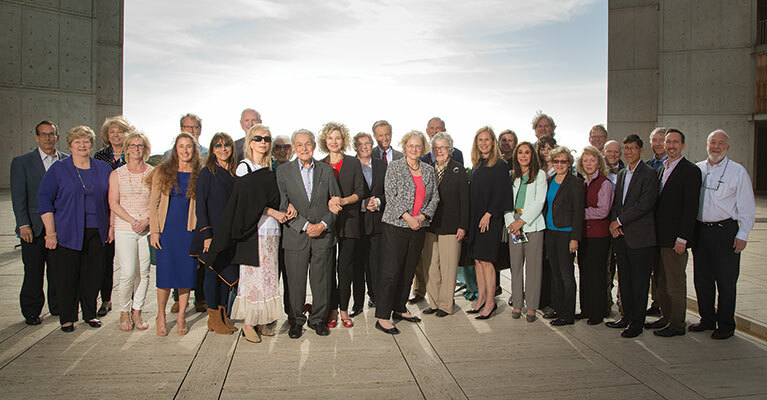 More than 40 members of the Salk Institute Council (formerly the International Council) convened for the second annual meeting May 11 to discuss Salk science and ways to advance the Institute’s mission. 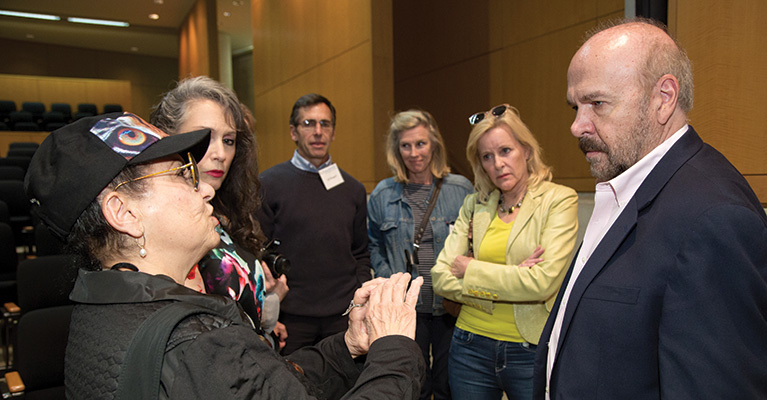 Curing cancer, funding STEM education and forging frontiers in neuroscience were among the lofty themes explored during the inaugural Breakthrough Biomedical Philanthropy held May 12-13 at the Salk Institute. 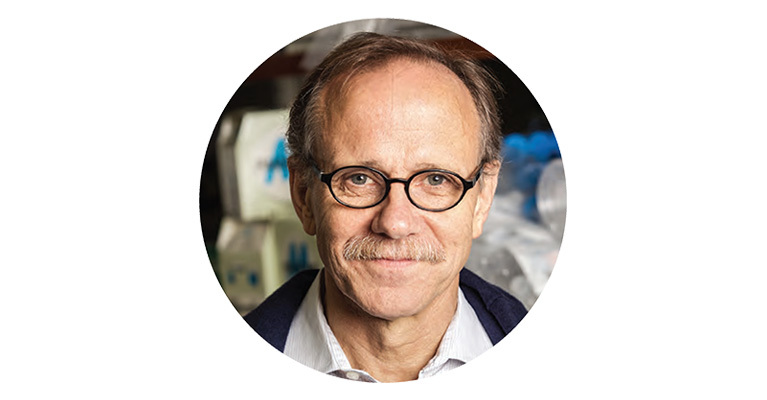 The long-held belief that the sequence of genes was all that was needed to understand an organism’s biology was put under the microscope at the Back to Basics lecture delivered last spring by Salk Professor Joseph Ecker. 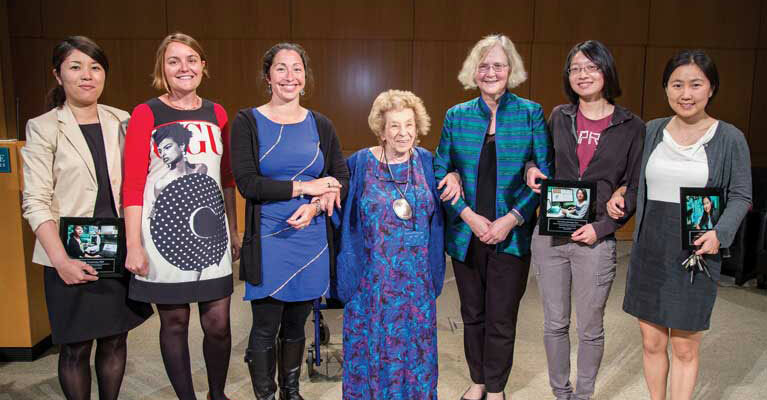 Early career scientists Nausica Arnoult, Amandine Chaix, Wei-Mien (Mendy) Hsu, Liang Song and Mako Yamamoto were honored at the second annual Salk Women & Science Special Awards Initiative ceremony, where they received funds from $165,000 specifically raised to help support female researchers conducting high-risk research projects.